Imagine being a great communicator! I help entrepreneurs, leaders and business professionals improve the quality of their comms through coaching, training and consulting. I’ve pulled together 20 years’ of this experience into a simple method that anyone can follow to grow their business success. Studies have shown that my method improves communication success and productivity. 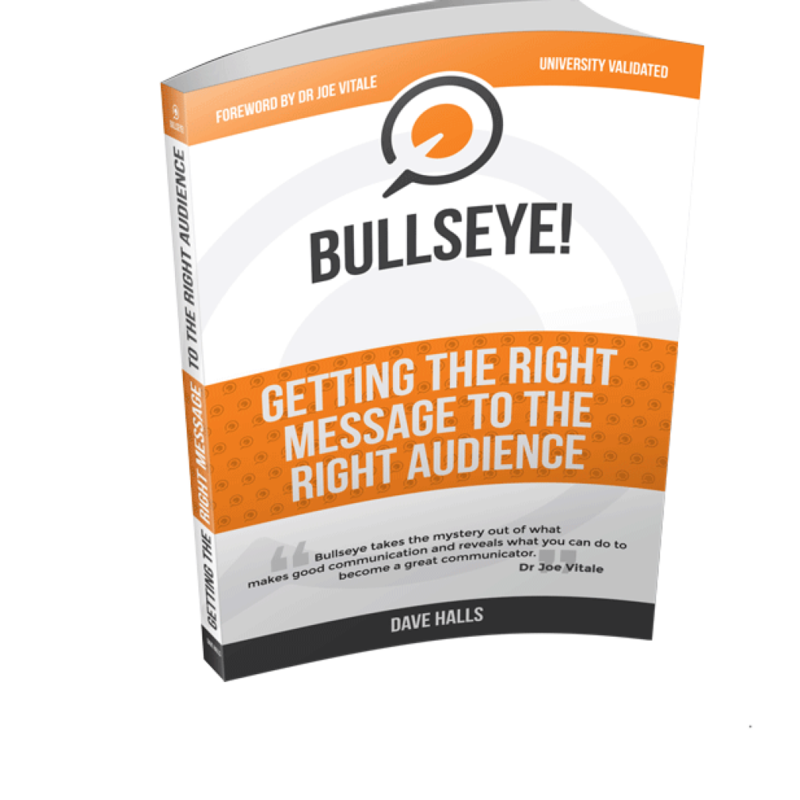 I’ve written about it in my book Bullseye!, which is now a communication text book at the largest college district in the US. It gives you the flexibility to craft a purpose-driven message and deliver it across any media you choose – written, video, presentation, or social. There are several ways you can learn my university validated method. Learn directly from my online training or tailored classroom training. Get communication consulting for your business to make sure you've got the best strategy and that all your comms align - from marketing and leadership through to everyday operations. You can apply my Bullseye! communication method to your marketing, leadership and organisational messages and content. And you'll become a great communicator and create business growth. Why not become a great communicator and change your world? You can become a great communicator! Many people in business struggle when it comes to communication. Mostly because no one has ever told them how to do it successfully. And so they “wing it” with poorly crafted or delivered messages that fail to bring the success they expect. Then they use this bad experience to think they haven’t got the special “gift”. I’ve seen this a lot over the past 20 years working in the communication space. By understanding how practical communication works, following a simple series of steps, and having the right mindset… anyone can become a great communicator over time. Today I help entrepreneurs, business owners and professionals develop professional communication skills through my training, coaching, consulting and writing. The approach I use is based on my university validated methodology and 20 years’ experience working for corporates and with small businesses, entrepreneurs and non profits. If you’re looking for a proven method to communicate and articulate your ideas, share your vision or persuade people to join your tribe and a whole lot more… then check out my book… grab some training… or talk to me about personal coaching. I’d love to help you become a successful communicator in your field! The book has been university validated and shown through studies to increase productivity by 50%. It has also become a communication text book for incoming professors at the largest college district in the US. Read this book to find out more behind the success of Dave Halls’ amazon international best selling book. I was lucky to attend Dave’s workshop several days before I had to deliver a major presentation to a large number of difficult customers. It was a PowerPoint presentation from my manager that I had to show to these people… the kind that could put you to sleep while drinking coffee. What could I do?